One of the NFL’s early surprises— the Tampa Bay Buccaneers— face off against the Pittsburgh Steelers, one of the league’s biggest disappointments thus far, in a matchup between two teams that haven’t played each other since 2014. 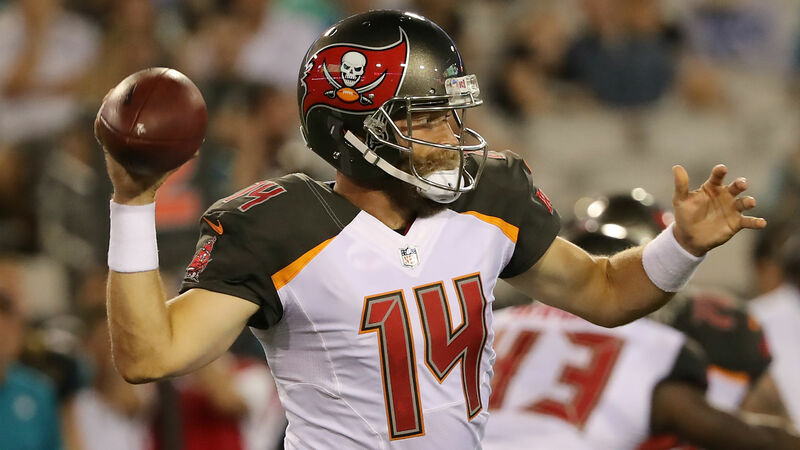 Buccaneers quarterback Ryan Fitzpatrick has set the league on fire in his first two games, throwing for 819 yards and eight touchdowns while winning each of his first two games. The Steelers, meanwhile, are still without star running back Le’Veon Bell, who is holding out for the third straight game. They tied with the Browns in their season opener and lost to the Chiefs last week, although they did put up 37 points behind quarterback Ben Roethlisberger. Sporting News has live scoring updates and highlights from Steelers vs. Buccaneers in Tampa Bay. 8:32 p.m.: TOUCHDOWN, BUCCANEERS. Fitzpatrick makes it look easy as the Bucs take advantage of the interception and get in the end zone on just five plays. Cameron Brate caught a 4-yard touchdown pass for the score on the rare Harvard-to-Harvard completion. Buccaneers 7, Steelers 0. 8:26 p.m.: INTERCEPTION, BUCCANEERS. Justin Evans jumps the route and comes out of nowhere to intercept Roethlisberger and Tampa Bay will start its drive with great field position at its own 47-yard line. Big momentum shift early on in this game. Justin Evans intercepts Big Ben! 8:21 p.m.: Joe Haden with a big hit on wide receiver Chris Godwin on Fitzpatrick’s third down pass attempt and the Buccaneers respond with a three-and-out of their own. 8:18 p.m.: Roethlisberger completes both of his passes on the Steelers first drive but they go three-and-out. Tampa Bay will take over at its own 41. 7:56 p.m.: Tony Dungy will be inducted into the Buccaneers Ring of Honor tonight. Dungy led Tampa Bay to four playoff appearances in six years with the team. Here are our inactives for MNF. Steelers inactives: QB Mason Rudolph, WR Justin Hunter, S Marcus Allen, S Morgan Burnett, G David DeCastro, OT Marcus Gilbert, DE L.T. Walton.